Welcome to our newest team member, Chucks! 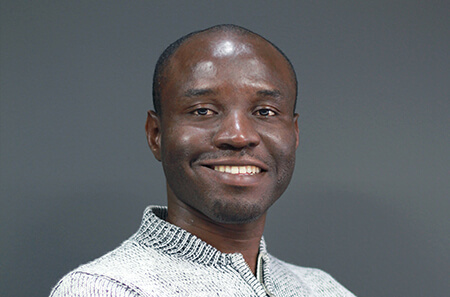 Our team is growing with the latest addition being Tochukwu Nwachukwu who joins us as Developer. Tochukwu, more endearingly referred to as ‘Chucks’ was born and raised in Lagos, Nigeria and moved to South Africa in 2016. Chucks is quite the academic having studied Physics at the University of Benin in Nigeria, and Geophysics at the University of Witwatersrand in Johannesburg. He comes with experience as a Full Stack Developer, with his most exciting project being a medical laboratory management web application he built during his freelance days. His reason for wanting to join the Realm team was the variety of technologies implemented by the development teams, providing him with the exposure he’s always craved. Not to mention the ingenious idea of ‘Free Friday Lunch’. Outside of the office Chucks enjoys playing the piano, watching cartoons, but more often than not, he spends his time learning new technologies and building his GitHub repository. A fun fact about Chucks: He used to make short videos of him playing the guitar at a river bank, while a female friend sang – according to him, every man’s dream. He also loves playing the piano and is known to be a bit obsessive over sheet music. Welcome on board, Chucks. It’s great to have you with us! If you are interested in joining our team, take a look at our current available vacancies.